As I mentioned in a previous post, Easter Break!, I visited Lincoln for the first time over the long Easter weekend. On the Saturday my dad kindly dropped me off as near to the Cathedral as possible (as my parents house is nowhere near a train station) and what was the first thing I stumbled across? 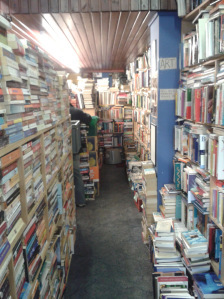 A bookshop, of course! 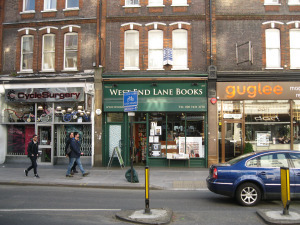 I have decided to start a feature on this blog where I shine a spotlight on some of the best bookstores. 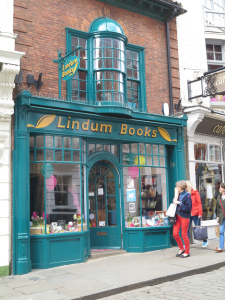 I decided to start off with my favourite local bookshop but I will look up interesting stores from around the world, and if you want to give your local one a mention feel free to join in. 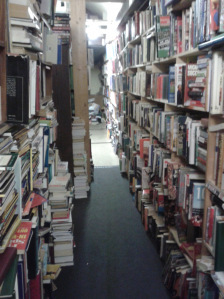 Words cannot express how much I love this bookshop. 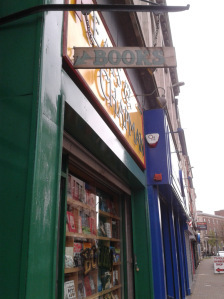 It is called Keats and Chapman Books but it was previously known as The Bookshop. It is situated in the centre of Belfast in Northern Ireland. I will post directions or a map below to help you find it because it can be a little tricky to find, unless you are familiar with the area.